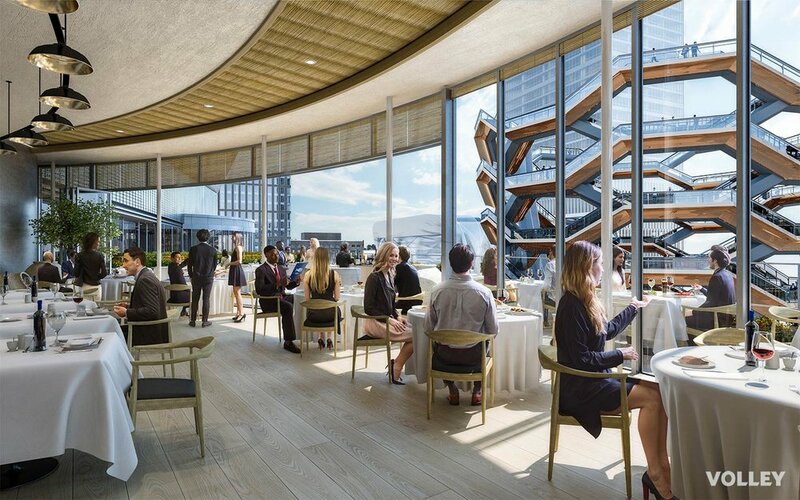 Numerous restaurants have announced that they will be opening locations at the Shops at Hudson Yards, creating a one-of-a-kind curated food destination. Volley has been excited to create much of the most exciting imagery for the retail leasing team, including recent announcements for Milos and a Spanish Food Hall by Jose Andres in the New York Times and others. New York Governor Andrew Cuomo revealed plans today for the ambitious new Pennsylvania Station-Farley Complex. Volley is proud to be a part of this effort, collaborating with SOM to bring their design for the new Moynihan Train Hall to life. Tishman Speyer revealed their current projects under design and under construction at Jackson Avenue in Long Island City. The residential complex will house over 1,900 units and the commercial towers contain 1.1 million square feet of office and retail, with the majority already pre-leased to Macy's and WeWork. Animation for 150 Rivington's teaser site. Curbed New York announced their biannual NYC New Development Roundup for Spring 2016. Volley is proud to have our work feature for 3 projects this season, highlighting our increasing presence in the residential real estate market. These projects include: 150 Rivington, 318 West 47th , and 92 Morningside. 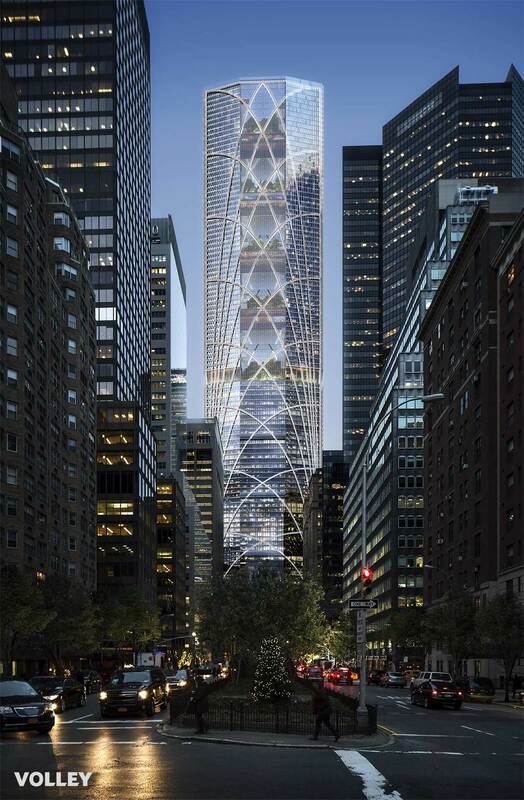 AECOM collaborated with Volley Studio to design a compelling super-tall redesign for Manhattan's iconic MetLife Tower that sits atop Grand Central. For this prospective project, we shot photography from the top of the Empire State Building as well as from multiple locations along Park Ave. AECOM's design proposes doubling the height of the tower with a series of garden atrium/amenities that stitch together a residential/hotel program, very literally turning Park Avenue into a vertical architectural experience. The "Reimagine a New York City Icon" competition was hosted by Metals in Construction magazine. Finalists also included SHoP, FXFOWLE, and VOA Architecture; all finalists split the grand prize.